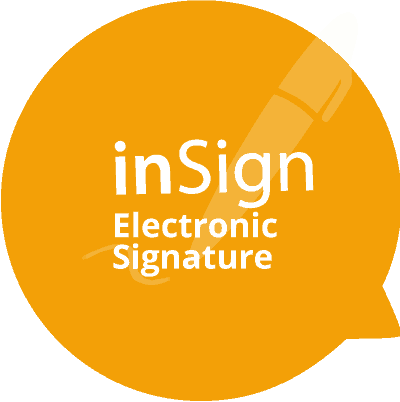 The inSign electronic signature enables you and your customers to sign, send and manage legally binding documents with written declarations of intent electronically. Thus, contracts can, for instance, be signed easily, quickly, and comfortably online or offline. With inSign you will no longer need paper for the conclusion of your transaction: customers can sign directly on their mobile end devices (smartphones, tablets). No more unnecessary printing of documents or inefficient snail mailing to conclude an agreement or contract. This not only saves time during the concluding process but also unnecessary costs for both parties to the contract – and is, on top, better for the environment. You’ll find out right here! Simply watch our short video about inSign. 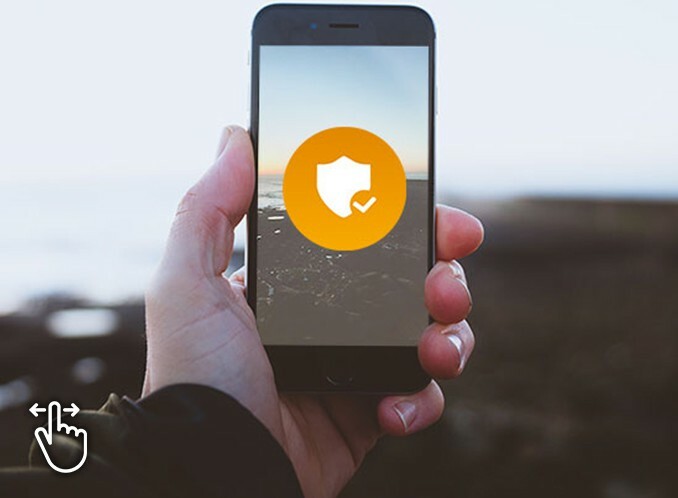 The electronic inSign process complies with all regulations of the German Civil Code (BGB), the German Insurance Contract Act (VVG) and the Federal Data Protection Act (BDSG). Since we grew up in the insurance industry, we are completely familiar with sensitive subjects such as data protection, data transfer and data storage. So you don’t need to worry about security and legal conformity when using our electronic signature solution. inSign enables completely paperless business processes. This saves you and your customers time and money. Higher economic efficiency thanks to leaner processes, reduced archiving time, easier logistics and quicker contract handling are just some of the many positive side effects for your customers and company. A win-win situation in every respect! We come from the insurance and finance markets. However, the electronic signature solution inSign can also be used in many other industries and fields – wherever business transactions involve hand-written declarations of intent. inSign can also be used for international business transactions. With inSign you offer your customers flexibility in terms of time and space. They can receive, sign and forward documents any time and anywhere thanks to the possibility of signing documents electronically. In the train, at home, on the sofa, or on holiday in another time zone: no need to observe normal business hours to sign legally binding documents such as contracts, applications, powers of attorney, etc. This contributes positively to your percentage of closed deals and conversion rate compared to processes involving large amounts of paperwork. inSign speeds up your internal processes significantly. Thanks to the digital signature solution you no longer need to print the documents for signature or send them to your customers by mail. Instead, the document is electronically available via inSign, can be signed by your customers on their smartphone or tablet, and returned to you in real-time. inSign not only helps you streamline your processes – you also make a conscious and considerable contribution to reducing unnecessary environmental pollution by dispensing with the use of paper. Your customers and your accounting department will thank you for it. inSign can be integrated quickly and flexibly into different system environments or used as a stand-alone solution. Direct integration of the inSign signature field into your website is also possible. An offline version for Windows and hybrid variants is also available. inSign is integrated in the most popular comparison and analysis systems for insurance sales and is therefore a widespread and accepted industry solution. We maintain close business relationships with suppliers of online/video consulting sytems and video identification services. To provide you and your customers with unique user experiences, inSign is under constant development. For instance, all licence models include regular releases with function enhancements, UI/UX improvements, and new features as a standard. You decide how you would like to use inSign. We offer you maximum flexibility regarding licence options from standard up to entirely customised – ideally adapted to your value added chain. The security of your data is our top priority. You decide where your data is to be hosted. Whether hosting on premises, on the servers of iS2 AG or in the cloud: you are free to choose. Both the inSign software and the app have been officially tested and certified by the Federal Inspection Association (TÜV) for security and functionality. Other recognised legal opinions on the technical process and the validity of the electronic signature attest to the high quality standard of inSign. Besides the signature itself, all documents and biometric signature data is encrypted and protected against modification (BiPRO standard 262). Another key advantage: inSign’s electronic signature has original quality. This ensures that in a possible legal dispute a handwriting report will clearly assign the signature to the signer. This data provides exact evidence of who signed which document where and when. When we developed inSign we were among the first to understand the benefits an electronic signature offers the insurance industry. Since 2012, the product has been progressively expanding in the insurance as well as the finance market and has won over many reputable customers. With the rise of digitalisation, an increasing number of possible applications have become available in the process landscape of insurance and finance companies but also in many other industries. Provide consulting support, process documents, and conclude contracts from any location. Sign documents during consulting appointments via smartphone. Edit contract data, file claims or change bank details via the customer account. Quick and easy conclusion of contracts through online insurance companies. Your customers edit and sign documents online. The digitization of business processes is also an important topic for many other industries. inSign can be used for all business processes that contain written declarations of intent or other signatures. Application scenarios from other industries can be found, for example, in the hotel industry during the check-in process, in the HR area during the hiring process or when booking a trip via the travel agency. In addition, there are numerous other applications in which the electronic signature can provide a paperless, fast and secure solution. With inSign, you too can convert your processes to digital. Save valuable resources, time and money! We will be happy to advise you on the individual application options for electronic signatures with inSign. We offer two different product variants, which differ in terms of licensing and adaptability. inSign SMART BUSINESS is the standard solution for individual users and small companies at a fixed monthly price. inSign ENTERPRISE is aimed at larger companies and can be flexibly and individually adapted to your needs at any time. Use the inSign Cloud solution at a monthly fixed price including unlimited signatures. Within the 4-week test phase you can cancel inSign at any time by mail. Thanks to the modern REST-interface it is very easy to integrate and adapt into your business processes. In the adaptation and integration phase we provide a test instance. Installation and operation on your corporate servers. Installation and operation on a dedicated server. company flat, process based and user based license models possible.